Heartbreak for Chobham – for the 2nd week running Chobham faced a top two side and almost pulled off an upset. 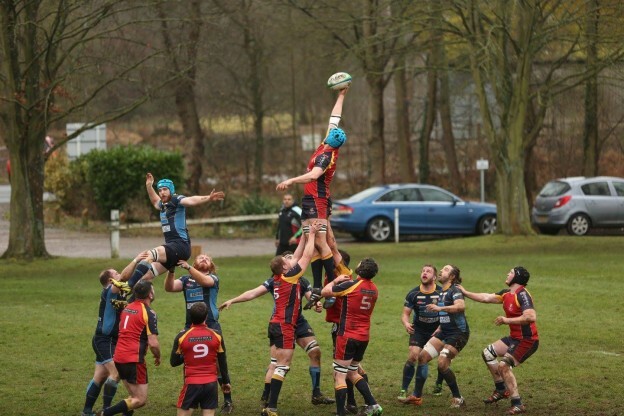 Upset may actually not be the word as Chobham out played, out thought and out scrummaged their local rivals, but unfortunately an 80th minute try by the home side meant Chobham were outscored. 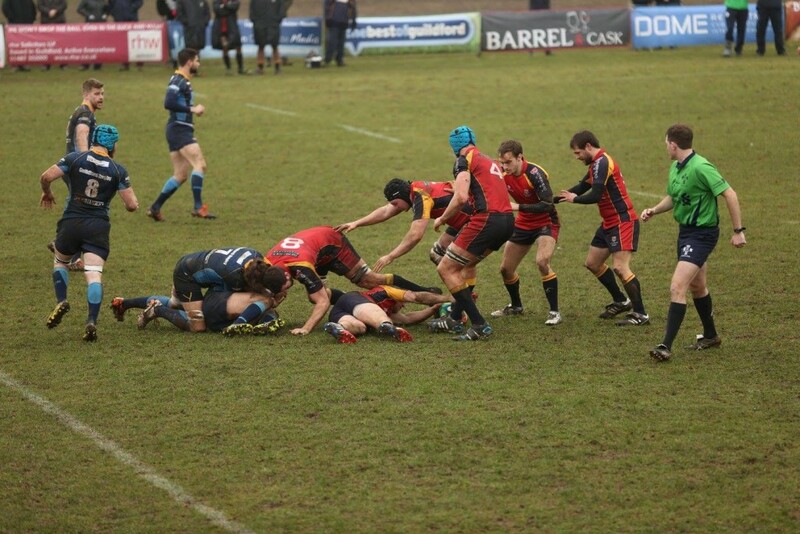 Guildford opened the scoring on 10 minutes with a try that saw the Chobham defence caught cold, with the conversion it was 7-0 to the home side seeking that vital promotion slot. Chobham then began to take more control and from a series of line out and drives on the Guildford 22 leading to a yellow card for repeated bringing the maul down. With a man down it did not take long before the visitors levelled as the resulting penalty they kicked for touch and once again the well-formed and well worked rolling maul of the top of a line out saw the Chobham forwards march imperiously towards and over the try line, Lee Evans coming up with then, Alex Thompson low missile style kick swerving one way then the other to eventually go over for the extra points. From the kick off and return kick, Chobham were looking out of shape and a series of missed tackles saw the Guildford right wing run through flaying defenders to score after a 60 metre run. The conversion in front of the sticks was a formality and Guildford led 14-7. With Chobham allowing the silly mistakes to creep in they were once again chasing the game, but within minutes they were level again as Dom Sammut scored and Thompson converted 14-14. A penalty a piece made the game level at half time 17-17. After the break Chobham took an early lead through another Thompson penalty and this was cancelled out by a Guildford penalty on 60 minutes. With Chobham dominant in the scrum which may surprise some as Guildford boast such an esteemed from row coaching set up, tempers flared as once again a Guildford scrum was shoved backwards, this resulted in a scuffle when the Guildford tighthead took umbrage and looked to have taken it out on the Chobham loose head Luke Fitzpatrick, the resulting decision by the referee meaning he gave the Guildford prop a yellow card but Fitzpatrick a Red. 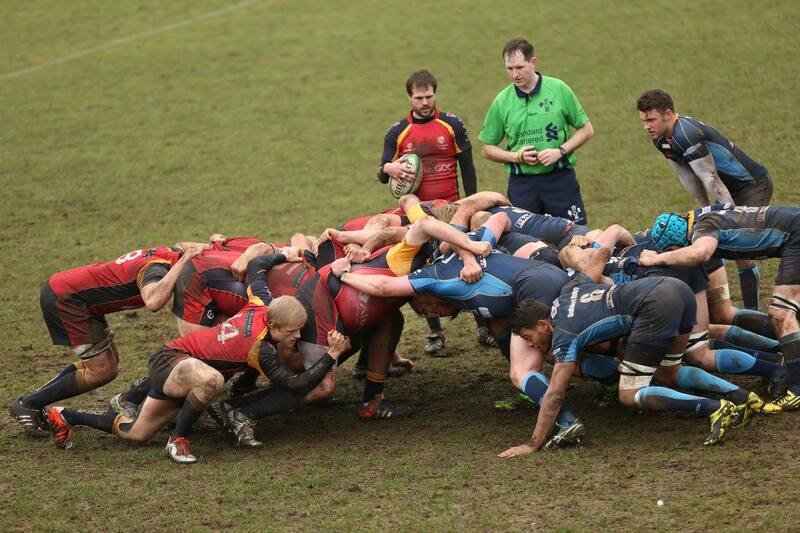 Both sides were forced to regroup and Chobham still looked the better side at scrum time and at the set piece. They re-established the lead through a Thompson penalty and so leading 23-20 it looked to all the world they would hold on. Alas the gods were not with them. 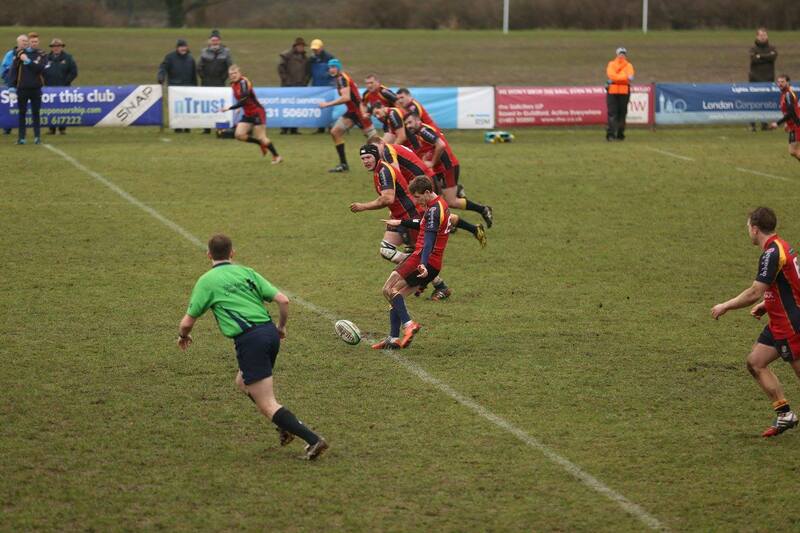 With the last play almost upon us, a missed kick straight into touch brought play back to the Chobham 10-meter line, the resulting play leading to a try by the Guildford full back much against the run of play, he converted his try and this took Guildford into a 27-23 lead and eventual victory. 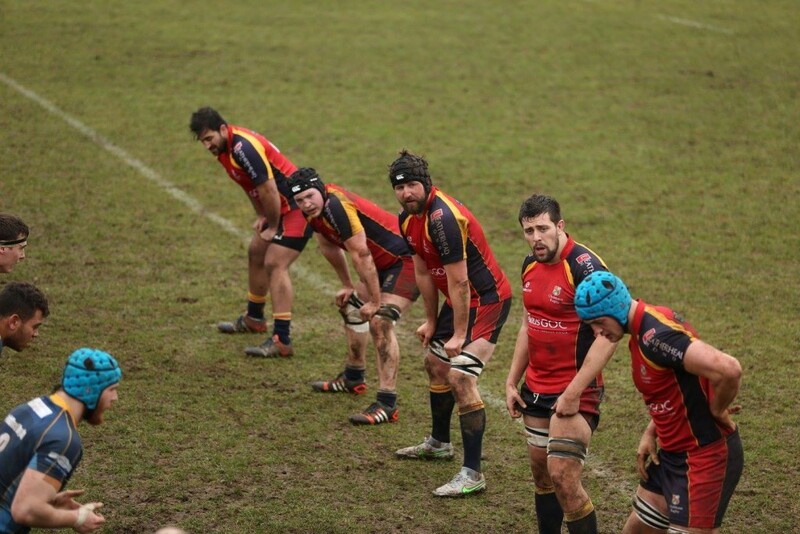 The game can be so cruel at times, but it is Chobham who can walk away with heads held high after such a performance, Guildford will find tough times ahead as they challenge Sutton & Epsom. Next up for Chobham in two weeks’ time is a Home game against Charlton Park.